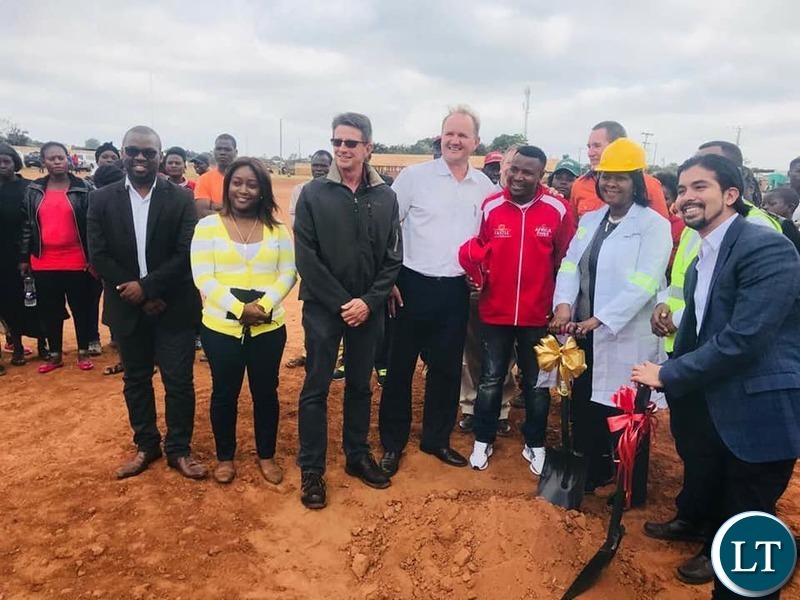 LUSAKA central Member of parliament Hon Margaret Mwanakatwe took time to grace the ground breaking ceremony of the Bauleni youth center, the project, once completed will include a renovated football pitch, youth skills development center and a section for a children’s play park. 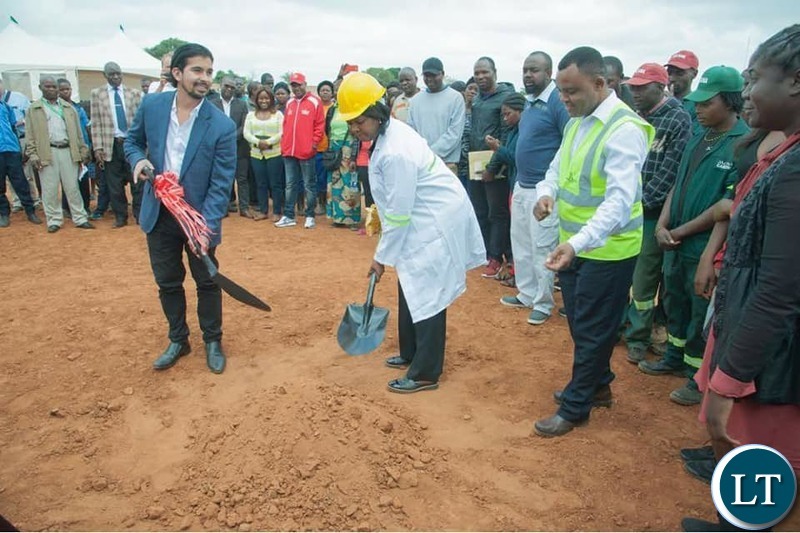 The initiative is part of the ongoing community program in Lusaka Central aimed at tackling the social ills of alcohol, drug abuse and unemployment among the youths, and not forgetting to revamp recreational facilities in the constituency. Present at the event and also partners working with the Area MP was Zambia Breweries Managing Director and Corporate Affairs Director, Jose Morano and Ezekiel Sekele, WHBO, JACANA And Stefanutti Representative included Micheal Newlands, Wantz Klopper, Johan Buys and celebrated former Chipolopolo captain Christopher Katongo. 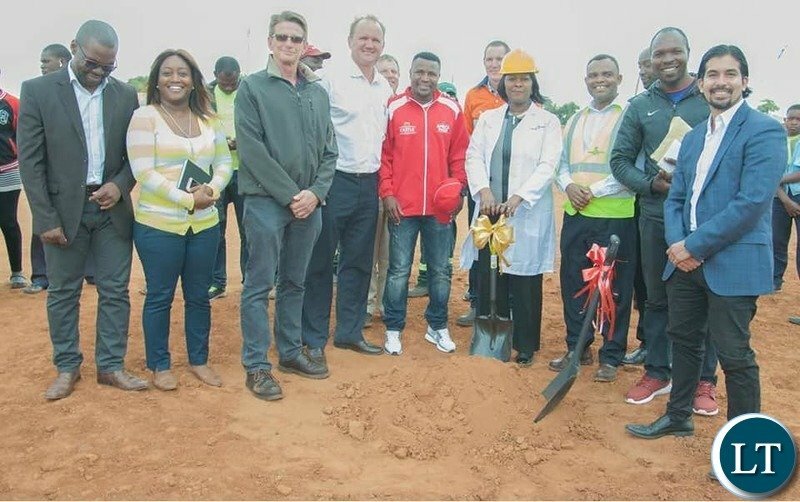 In addition to rehabilitation of the Bauleni sports center, the pitch has been selected to host Former Cameroon International Samuel E’to on Friday the 25th of May. 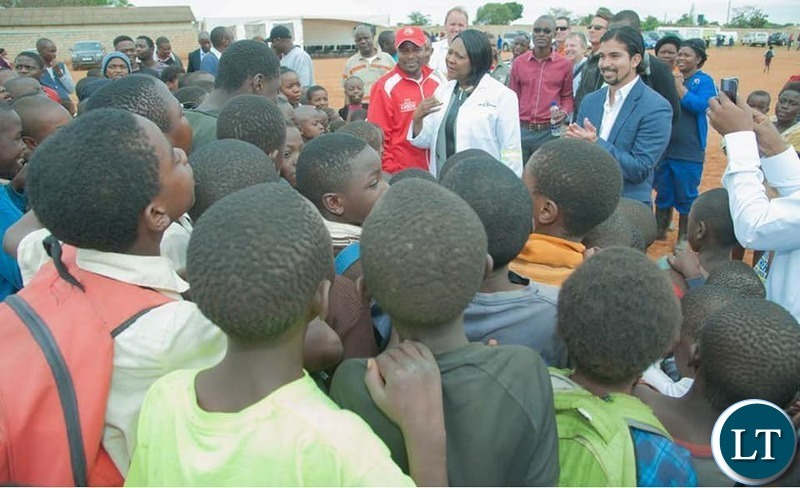 The soccer star will be in Zambia on the invitation of Zambia Breweries Plc Parent Company – AbinBev , at the event , Zambia Breweries and Samuel E’to will make donations of football materials through the Hon. 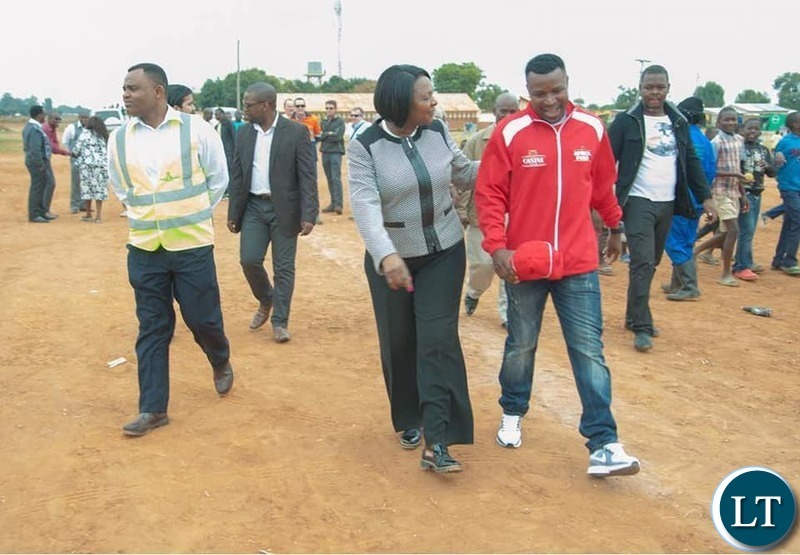 Margaret Mwanakatwe in her capacity as Lusaka central MP. What do youth centres do? I have been to a few personally. Nothing, I repeat goes on there. No need to insult just put your argument people, will still get your message. Insulting is a sign of being dull and lack of civility. It’s time you started articulating issues in a sober and intelligent manner. My friend you can look strong as an ox on camera but when you are on the pitch with 19 – 25 year olds your legs when cheat you..especially chaps like him who have questionable birthdates ..that’s why you see them guys dying on the pitch!! Good initiative. Please restore the play parks for our children not only in Bauleni but in every community as this will help and minimize the issue of alcohol & substance abuse among the youths. It is very sad to see that even the school playing fields don’t exist anymore – they have been given as plots by cadres. God bless Zambia! Zambia breweries fighting alcoholism, is like a fish no wanting water, does not make any sense. Even this good news is HaBad News to HaFourteens!